Liberal American-Jewish commentator Peter Beinart gave a provocative speech on Wednesday, in which he said Israel essentially deserved the wave of Arab terrorism targeting its citizens. Beinart - who despite his regular attacks on the Jewish state insists he is "pro-Israel" - was speaking at "Beth Chayim Chadashim Progressive synagogue in Los Angeles, which was set up as a "gay-friendly" congregation. His comments were recorded approvingly by the anti-Israel Mondoweiss website. "While we condemn Palestinian violence, we must recognize this painful truth: that Israeli policy has encouraged it," Beinart told his audience. "Israel has encouraged it by penalizing Palestinian nonviolence, by responding to that nonviolence by deportations, teargas, imprisonment, and the confiscation of Palestinian lands. Hard as it is to say, the Israeli government is reaping what it has sowed." 11 Israelis have been murdered and dozens more injured - many seriously - in a series of daily, primarily stabbing attacks, many of them targeting children and elderly citizens. One of the examples of "Palestinian nonviolence" he gave was the weekly riots in the village of Bil'in, which involves rock-throwing and attempts by villagers, bolstered by foreign and Israeli anarchists, to attack nearby Jewish communities. Amazingly, Beinart also used the same logic to essentially provide some justification for the 9/11 attacks on the US. "The September 11th attacks were a monstrous, demented response to American foreign policy, a foreign policy of support for Arab dictatorships and Israeli policies which produced tremendous suffering in the Arab world. And today’s Palestinian terrorism is a monstrous, demented response to Israel’s denial of basic Palestinian rights. "That’s not a popular thing to say in Israel right now, but within a people as within a family, you don’t build real solidarity by telling people things they want to hear at the expense of what you believe is true," he said. 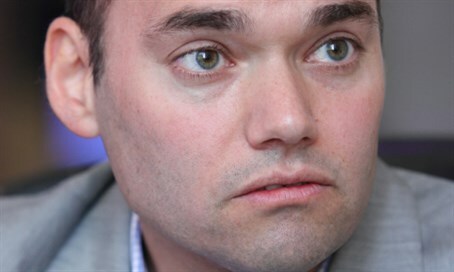 While arguing against the BDS movement, which calls for a worldwide boycott of Israel and other economic and diplomatic sanctions against the Jewish state, in the same breathe Beinart expressed hope that the international community - particularly the European Union - would increase the "costs" for Israel's actions.